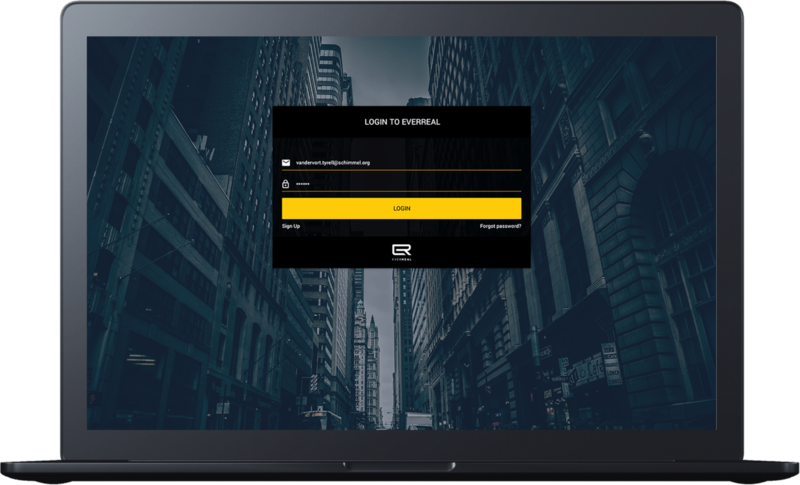 The platform for entire leasing process. 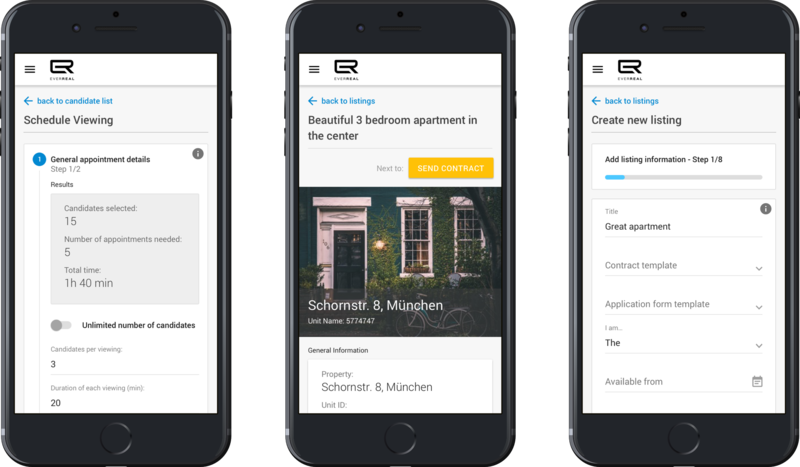 Manage your entire leasing processes on a single platform, saving you time and money: from multi-channel marketing, contracting, all the way to handing over the apartment. 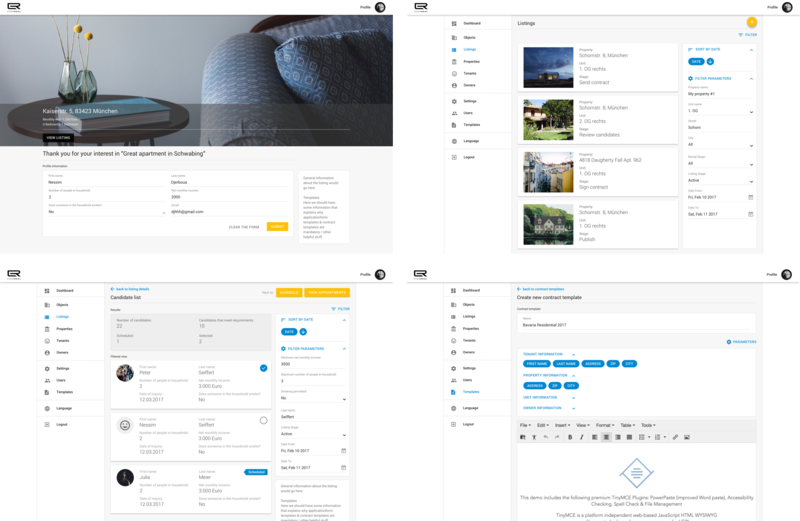 From finding and selecting tenants, signing a lease, all the way to a digital move-in report. Create viewing appointments and invite prospective tenants. Once confirmed your appointments are immediately saved in your calendar. 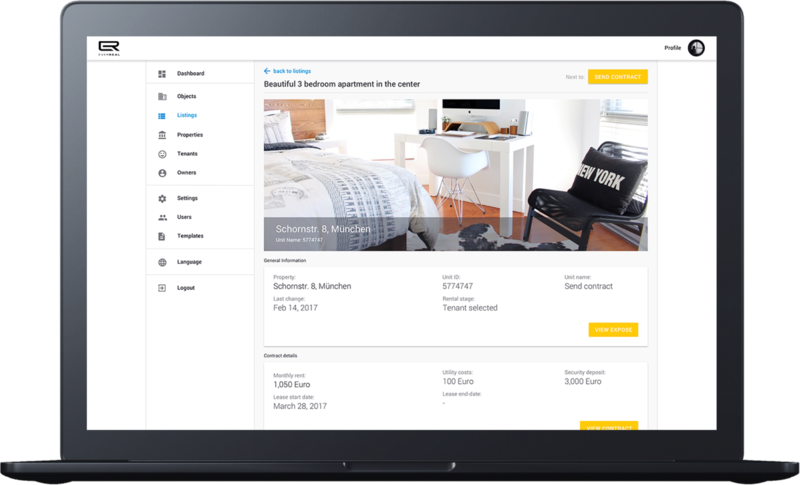 Receive and process all requests from prospective tenants in one place. Keep an overview of the rental status at all times and use the information available to optimize the rental process. 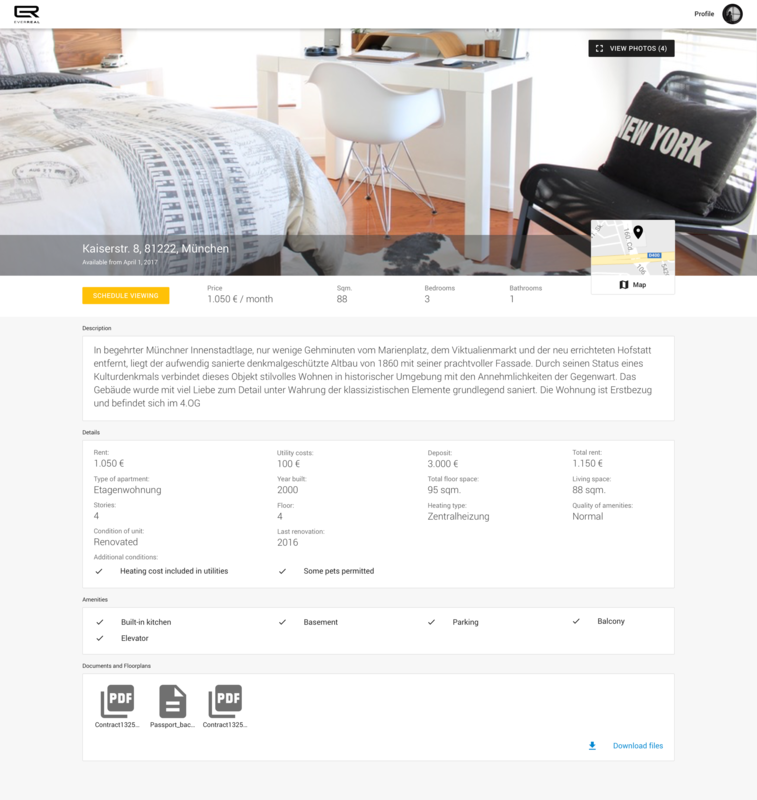 Access and review all rental applications online, filter and rate along your defined criteria. 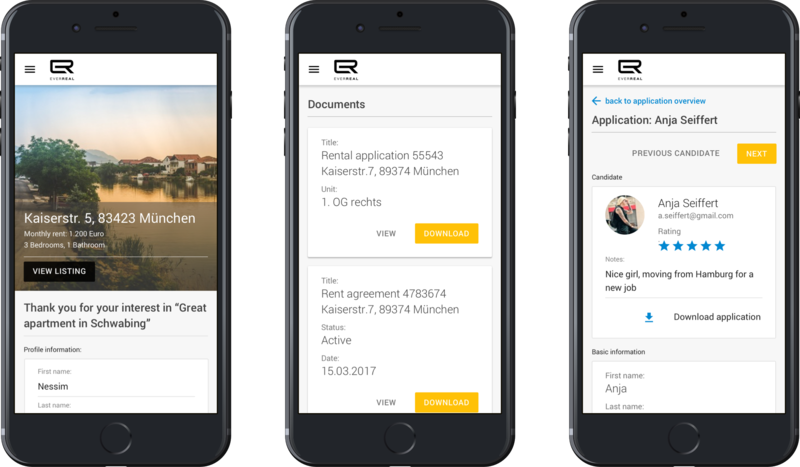 Generate the rental agremeement quickly and conveniently with just a few clicks on the basis of your own templates. Notify the prospective tenant that the contract is ready for signature. Prospective tenants can view and download the the rental agreement online, sign and upload it or send it by mail. Document the condition of the apartment with a smartphone or tablet. Record issues by taking photos, record meter readings and keys. Have the handover protocol signed electronically by both parties.